Today’s factories are easy to envision as futuristic-seeming hives of automation, where industrial robots mimic the movements and, seemingly, the intentionality of human workers. Today’s robots are not only working faster and more reliably than their human counterparts but also performing tasks beyond human capability altogether, such as microscopically precise assembly. But many of those robots are dumber than they look. That is, they may be more dexterous than humans, but they are programmed to perform a limited range of tasks. Many robots can’t safely work in close proximity to humans and literally have to be caged or regulated in ways that safeguard human coworkers. 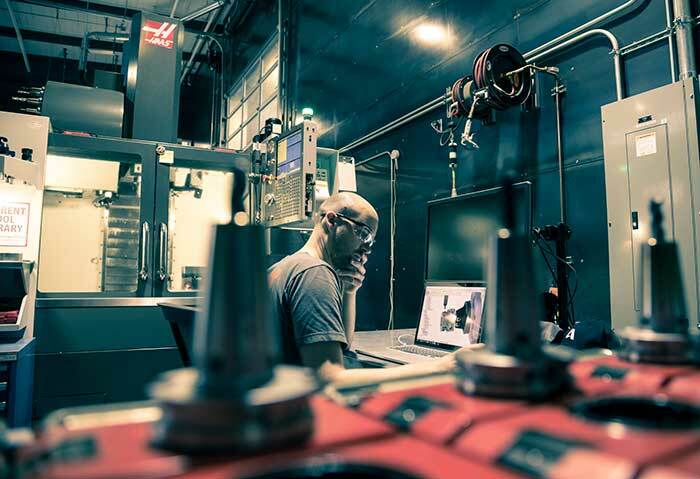 Artificial intelligence (AI) is just now finding its niche in manufacturing, as the technology matures and costs drop—and as manufacturers discover applications for which AI algorithms can make complex decisions. And as it becomes ubiquitous, the future of artificial intelligence in manufacturing is already becoming feasible in emerging markets; showcasing better sensory capabilities; and, off the factory floor, predicting what will be needed and when. In manufacturing, capital investments are high and profit margins are often thin. Those conditions helped to drive a lot of manufacturing to low-wage countries, where the human-resource costs have been so low that the capital investment in AI and related automation was hard to justify. But rising living standards and wages in places like India have made AI an easier sell. In fact, China is already making significant investments in AI for manufacturing and e-commerce. And just as US workers have lamented loss of jobs to automation, the same is now happening in Chinese factories. Although many workers will be replaced by robots in the short term, the end game will be to retrain those workers to perform higher-level design, programming, or maintenance tasks. The real driver, however, will be to develop applications for AI that don’t just automate tasks, but make entirely new business processes feasible—for example, custom configuration of products to individual customer requirements. AI has its roots in the 1950s but only found broad acceptance with the development of machine-learning algorithms that could be loosed on a body of data to discover meaningful patterns—without deliberate programming. “Without flexible algorithms, computers can only do what we tell them,” says Michael Mendelson, a curriculum developer at the NVIDIA Deep Learning Institute. “Many tasks, especially those involving perception, can’t be translated into rule-based instructions. 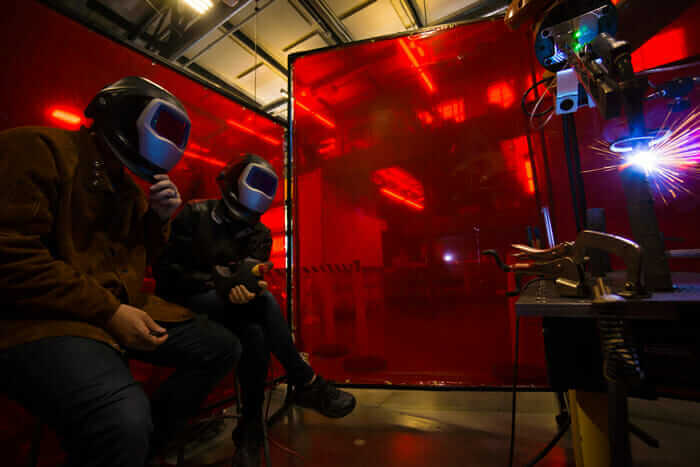 In a manufacturing context, some of the more immediately interesting applications will involve perception.” This would make factory robots more capable and better able to interact with—and take instructions from—humans. Machine vision is one of these applications. Devising cameras many times more sensitive than the human eye has been the easy part. What AI adds is the increasingly useful ability to make sense of the images. Landing.ai, a startup formed by Silicon Valley veteran Andrew Ng, focuses on manufacturing problems such as precise quality analysis. It has developed machine-vision tools to find microscopic defects in products such as circuit boards at resolutions well beyond human vision, using a machine-learning algorithm trained on remarkably small volumes of sample images. That’s a microlevel challenge. A macrolevel problem is training a robot to sense what is going on around it so that it can avoid disruptions or danger. This is analogous to the self-driving-vehicle problem, which is nearing real-world adoption. There is a likely role in factories for smart, self-driving forklifts and conveyors to move materials and finished goods around. Robots often are stationary but are still at risk of crashing into things, or people, wandering into their workspaces. Machine vision or motion sensors can cause robots to stop what they are doing if there is a potential obstruction. 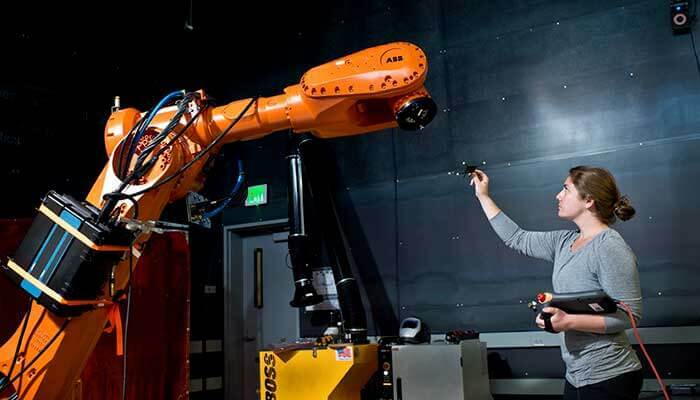 But there is increasing demand for truly collaborative robots—“cobots”—that can work productively with human colleagues. AI is enabling them to take instructions from humans, including novel instructions not anticipated in the robot’s original programming. For this, robots and humans need a common language, which could increasingly be plain speech. This concept already has been demonstrated at the University of Rochester and at MIT. AI certainly is making robots more capable and easier for humans to collaborate with. But it will have an impact in areas that have nothing to do with robotics. In the supply chain, for example, algorithms can perceive patterns of demand for products across time, geographic markets, and socioeconomic segments while accounting for macroeconomic cycles, political developments, and even weather patterns. The output can be a projection of market demand, which in turn could drive raw material sourcing, human staffing, financing decisions, inventory, maintenance of equipment, and energy consumption. Much of the data will come from sensors embedded in the processing equipment not only at the factory but also at suppliers’ facilities, tracking parts inventories and other front-end inputs and monitoring product-quality issues at distributor locations or retail outlets. AI can, in fact, provide clues to help manufacturers predict demand before they build products to fill the pipeline. In 2010, informatics professor Johan Bollen and colleagues at Indiana University demonstrated that algorithms could read and interpret sentiment in Twitter feeds precisely enough to accurately predict stock-market movements. Similar sentiment analyses could be used to project demand for products or even specific brands, Bollen says, especially now that consumers are transmitting their sentiments daily by chatting with household AI assistants from Google and Amazon. Much of Bollen’s recent work has been focused on social-media influence on political opinions, but he has studied consumer behavior, as well. Still, AI’s proponents assert that the technology is only an evolutionary form of automation, an inevitable outcome of the Fourth Industrial Revolution. AI may be effective at making things, making them better, and making them cheaper. But there is no substitute for human ingenuity in dealing with the unexpected changes in tastes and demands—or in deciding whether to make things at all. Written by Peter Dorfman. This article was originally published on Redshift. You can read the original here.